The world is full of people who believe that the only way to get something done the right way is to do it yourself. And it’s true, isn’t it? If you want a burrito just so, you don’t order a boxed option – you customize it at Chipotle or Qdoba. But burritos aren’t the only thing you can DIY now. Pizza places like Pieology and Blaze are two of the top DIY contenders, allowing you to dream up the pizza of your wildest fantasies in a Chipotle-style line. And while they sound über similar in theory, these two pizza joints are far from the same. Are you gung-ho for Pieology or did Blaze Pizza steal your heart? 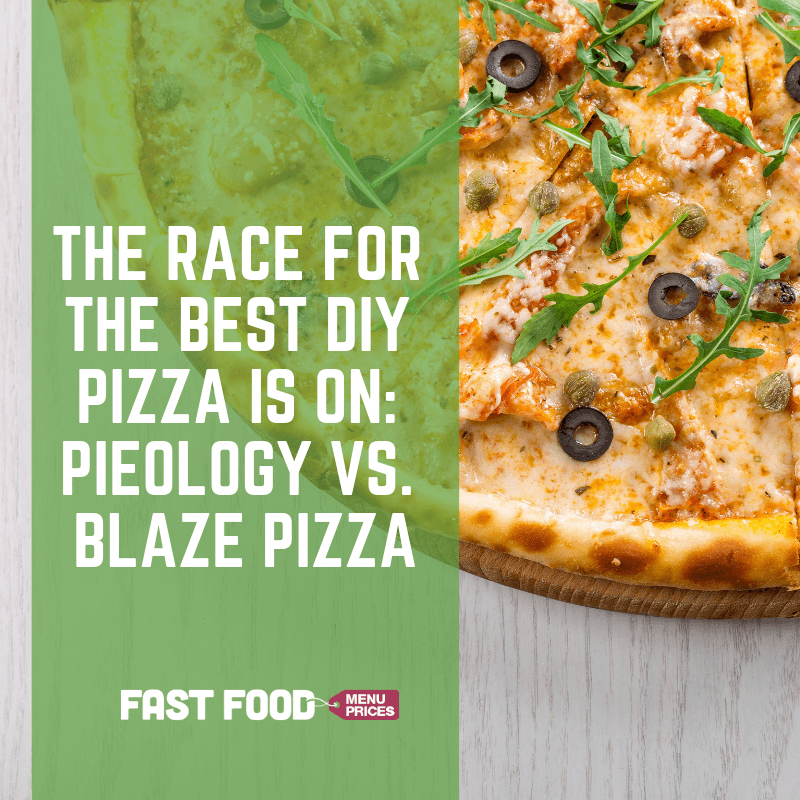 Stay tuned pizza lovers, as the race for the best DIY pizza place commences! DIY Pizza – What’s the Deal? There’s only one thing better than ordering your favorite specialty pizza – and that’s creating your own. The latest craze in the food industry is the ability to do it yourself, ensuring you get the ideal pizza every time. From toppings to crust and cheese, you’re in charge at Pieology and Blaze Pizza, so you can guarantee you won’t end up with a sad excuse for a ham/pineapple pie. Pieology and Blaze Pizza – What’s the Difference? 1) The Flavor. At Pieology, they use processed, crushed garlic while Blaze has its garlic whole and roasted. 2) The Tomatoes. At Pieology, they use Roma tomatoes, while those at Blaze are little, flavorful cherry tomatoes that are artfully halved. 3) The Basil. Basil comes in whole leaves and is hand cut only when ordered as a topping over at Blaze while it comes pre-chopped at Pieology. 4) The Sauce. Pieology does not offer white cream and spicy red sauces, both of which are available at Blaze Pizza. 5) The Cheese. Blaze Pizza has vegan, ovalini mozzarella, and goat cheeses in their selection of toppings which Pieology does not. 6) The Add-Ons. As a “redeeming” factor, Pieology has a variety of “After Bakes” for pizzas which are actually add-ons and are not available at Blaze such as black pepper, pesto, barbecue sauce, red sauce, roasted red pepper, olive oil, and fiery buffalo sauce. The Crust, Cheese, Sauces, and Toppings – What Can I Order? 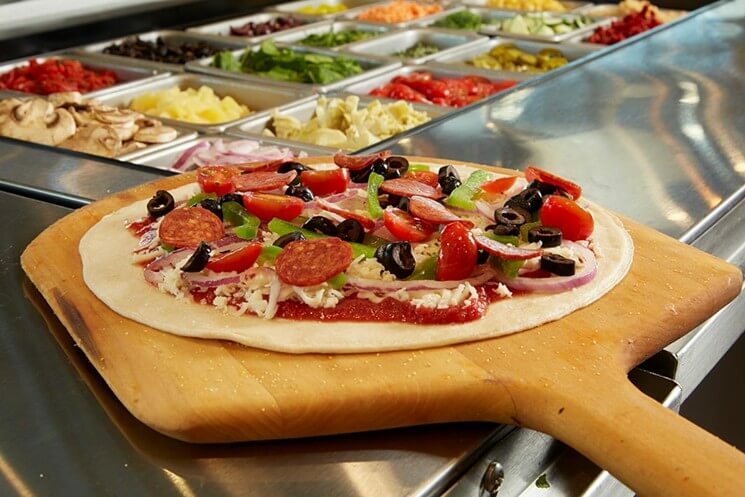 We are all familiar with the assembly-line-style which both Pieology and Blaze employ: you choose the crust, cheese, sauce, and toppings from a wide selection. 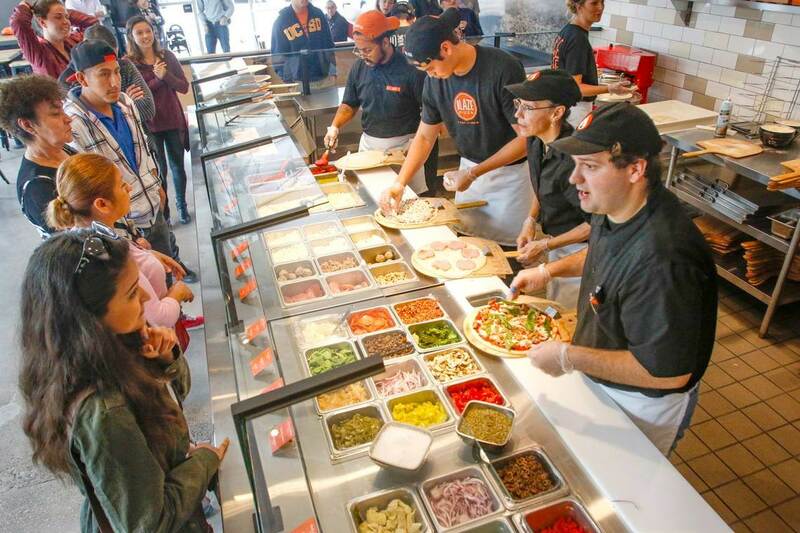 Pieology and Blaze Pizza both have nearly 30 choices of toppings, most of which are sourced from local communities. Gluten-free and traditional crusts at Blaze Pizza and Pieology are vegan, and the latter makes its crust with a pressing machine that flattens out dough balls that have been stretched and tossed to make the resultant crust tender. According to some customers, Blaze Pizza’s crust is tougher. Both pizza joints offer ricotta and vegan cheeses. Mozzarella at Blaze Pizza, however, gets plus points because not only does it have shredded mozzarella but it also has the fresh ball and smoked mozzarella varieties that Pieology doesn’t have. Don’t forget to check out the menus for both Blaze Pizza and Pieology for a full list of toppings and add-ons. Service and Ambiance – What Can I Expect? As of 2018, Pieology has expanded to 140 locations, while Blaze has more than 300 with an expectation to open 1,000 locations worldwide in the next several years. Both places know how to run a business smoothly and serve their customers in a timely manner. Expect your pizza at either location to be baked in around two to three minutes. Pieology’s pie measures a half inch short of a foot, while Blaze’s measures 11 inches. Blaze staff calls out the names of customers to pick up the pizzas they have customized at the front counter while Pieology’s servers bring the customized pizzas to customers’ tables. The Price – How Much is DIY Pizza? And while taste, like beauty, is relative, most customers agree that Pieology has a few advantages over Blaze Pizza in terms of crust and number of toppings. As for price, you can expect to pay around $6.85 at Blaze Pizza and $7.50 at Pieology. Lebron and Lavigne – Who’s Behind the Business? Blaze Pizza is supported by several well-known investors. 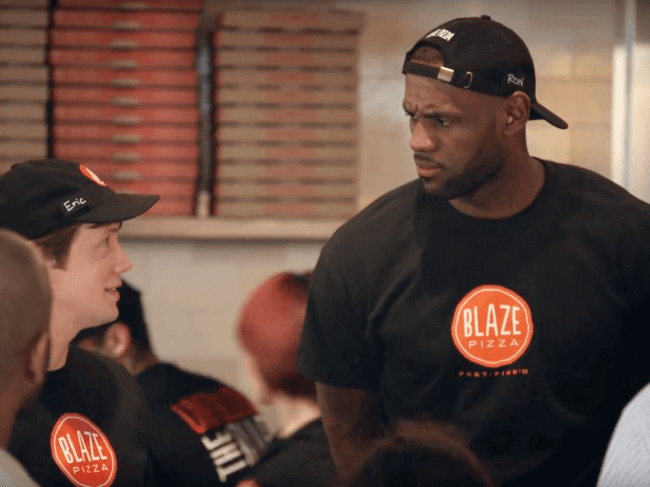 Chef Bradford Kent, Los Angeles Lakers star LeBron James, chairman of the Boston Red Sox Thomas Werner, and TV journalist and former first lady of California Maria Shriver have all bought into the franchise. Pieology is better known, on the other hand, for its support of community events and charity programs. Before he passed away, James Lavigne was a frequent Pieology customer and has the Chicken Lavigne Pizza named after him. For every order of this pie, donations are made on his behalf to the Hodgkin’s Lymphoma Society. Although Pieology founder Carl Chang considers Blaze Pizza to be Pieology’s biggest competitor, he still thinks that his pies are recognized for more than the wide array of quality ingredients that makes up Pieology’s fresh and delicious pizzas. So, what do you think? Are you team Pieology or team Blaze Pizza? If you haven’t decided yet, check out what’s new at Pieology.